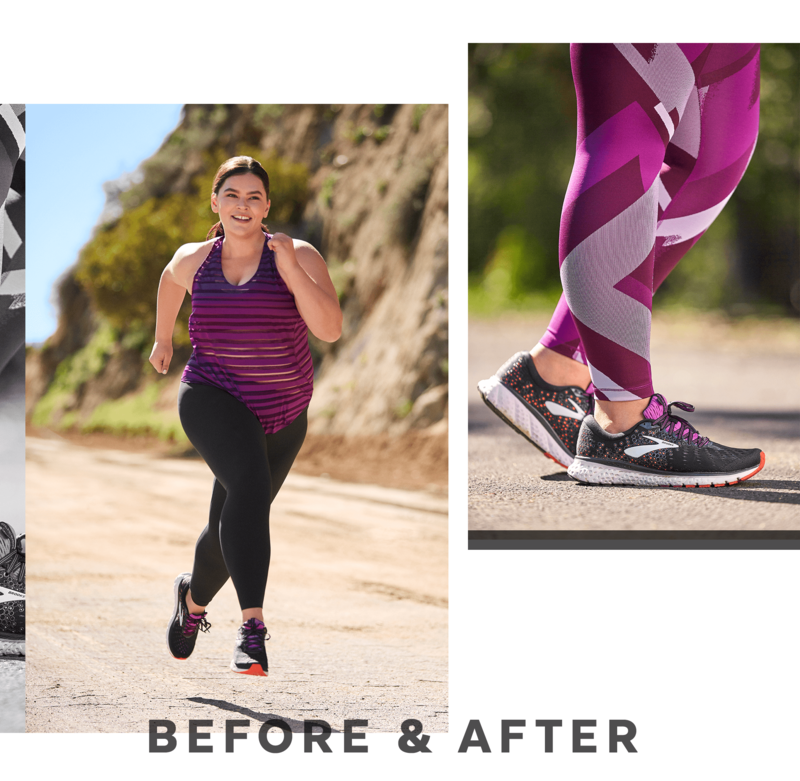 There's a lot more to running than just throwing on a pair of sneaks and hitting the pavement — diet, flexibility, and mental stamina all have their parts to play every time you head out the door. But don't let that scare you! Even if you rarely veer away from 30 minutes on an elliptical or are more into instructor-led fitness classes, the 3.1 miles that make up a 5K are totally doable and will fly by in a flash. All you need is a plan to help you stick to your goals and run your best 5K ever. If you only have four weeks to train for a 5K, remember to keep a healthy balance between running days, rest days, and cross-training days; overexerting yourself or pulling a muscle just to prove something to yourself isn't worth it. Instead, listen to your body, be smart about how you train, and remember to enjoy the process. To maximize your time, download an app to help you keep track of your runs. Make sure it includes things like pace, time, and distance, then find one that fits your preferences, from matching music to your pace to sharing on social media to keeping track of your routes. And if you're running outside, chart a course before you head out that takes you through some of your favorite scenery. Maybe you love running through the bustling streets of your city or prefer the solitude of a nature trail. Make sure to switch it up every now and again so it doesn't get boring! Tip: create a killer playlist tailored to each part of your run — think fast and upbeat hits to keep you motivated midrun and chill, low-fi songs to maximize your cooldown. Another imperative component of training for a distance run is incorporating strength training and active rest. Keep in mind that each will be different for every person and may vary week to week — perhaps cross-training means a CrossFit class for one person and a power yoga class for another. Active rest could mean a Pilates sequence or 30 minutes of meditation, depending on your body and activity level. Before you begin, making sure you have the right gear is essential. Test out some clothes, and see what works best — you may not realize that a bra chafes or leggings keep rolling down until you actually start moving in them. Picking the right sneakers is also imperative: you want a pair like the Brooks Running Glycerin 17 that both cushions and supports and can take you from the street to the gym. Tip: Choose the right prerun snack that won't upset your stomach or slow you down. Go for a small portion of protein and carbs, like half a banana mixed with half a cup of Greek yogurt. You'll also want to pay attention to warmups and cooldowns, staying away from static stretching, which can actually lead to many more pulled muscles and tears. Instead, spend about three minutes before your run on a brisk walk, and take about five minutes at a slow jog for a cooldown. Invest in a foam roller to work out sore and tired muscles. You'll thank us later. Tip: Enlist a running buddy to keep you accountable. You don't actually have to run together — perhaps you and a friend from a different city can swap stats and tips after each training day. But most importantly, figure out your motivation for running, and remind yourself of it every time you feel too tired to hit the pavement or had a bad run and just want to sulk. Whether it's to help manage anxiety, a desire to feel stronger, or just to prove to yourself that you can make it across that 5K finish line, let running be a moving meditation. You've got this! And to help you get there, we've created an easy, four-week 5K training plan for you to follow. Save it to your Pinterest board and get moving!